New Rochelle, NY (March 19, 2019) – A driver as reported to have crashed a vehicle through a steel railing and plunged into the Long Island Sound on Tuesday afternoon, March 19th. The accident tragically resulted in the deaths of both the driver and one passenger after the incident which took place around 4:00 p.m. in Hudson Park. According to authorities, the vehicle left the roadway and went through the railing for reasons that have not been confirmed, ultimately prompting a response from New Rochelle police divers. Officers dove into the water and retrieved the driver from the car. The driver has only been identified as a man in his 50s or 60s as he was rushed to a local hospital, unconscious and unresponsive. He was pronounced dead after arriving at the hospital. Divers returned to the water to recover the vehicle, where they found a deceased female passenger among the submerged wreckage. The age of the female victim has not been stated and the identities of the victims have not been released at this time. 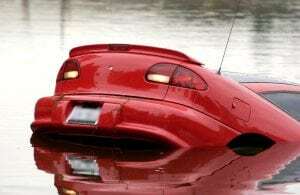 Unfortunately, many car accidents in New York end in extremely serious injuries or death, particularly those which occur at a high rate of speed and end in the water. At this time, we would like to extend our most genuine condolences and heartfelt sympathies to the loved ones of the deceased parties. While it can be extremely difficult, it is important for the bereaved families to understand that they may have rights moving forward, especially if the crash was caused by another party or entity such as a manufacturer. Our dedicated and compassionate accident attorneys at Hach & Rose have devoted their careers to assisting those who have suffered due to the actions of another party. We understand the immensely physical, emotional, and financial complications that occur in the aftermath of such a devastating incident, and we are here for you 24/7 to answer any questions you may have. If you have lost a loved one in a New York car accident, please don’t hesitate to call 212-779-0057 today. Video FAQ: Are there costs associated with switching lawyers?